score for Bach's St. Matthew Passion. the first few words on that slide. The St. Matthew Passion is 565 supertitle slides!! 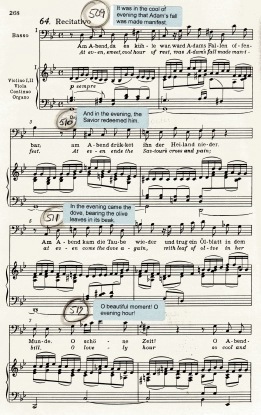 Piano Vocal Score Page 268).